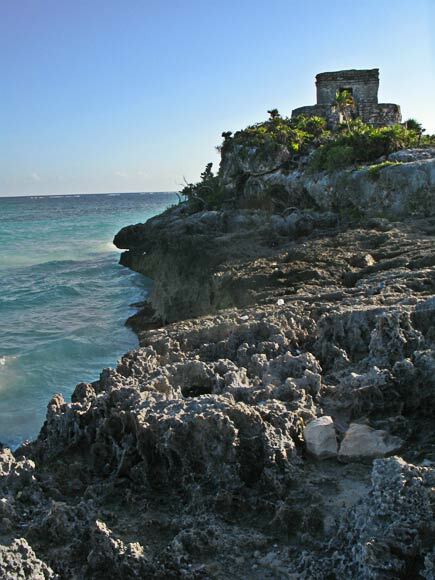 The Maya ruins of Tulum are located on the Yucatan coast, in the southern Riviera Maya. 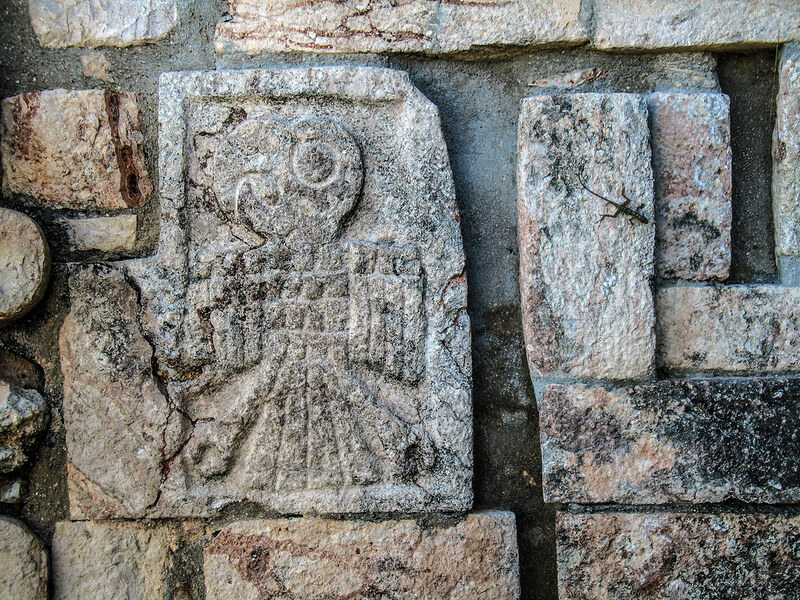 Tulum is not exactly a major Maya site. It’s a late one, and the construction is a little crude compared to the finest Maya stonework. 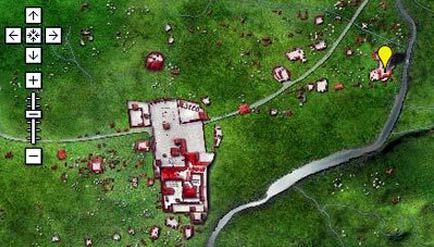 During the period the city was at its height the Yucatan was racked with warfare, and consequently Tulum is one of the few walled Maya cities. Today Tulum is appallingly overrun with tourists, which makes it a bit difficult to fully enjoy. Nonetheless, it boasts a spectacular location. 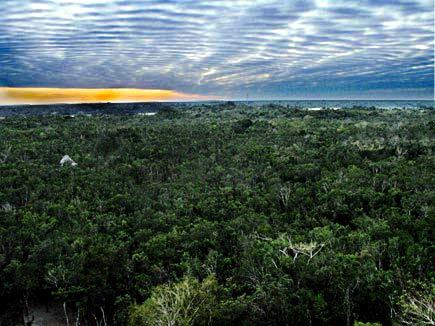 Few significant Maya cities are built directly on the coast (no doubt its seaside location was a defensive factor for the city’s founders). 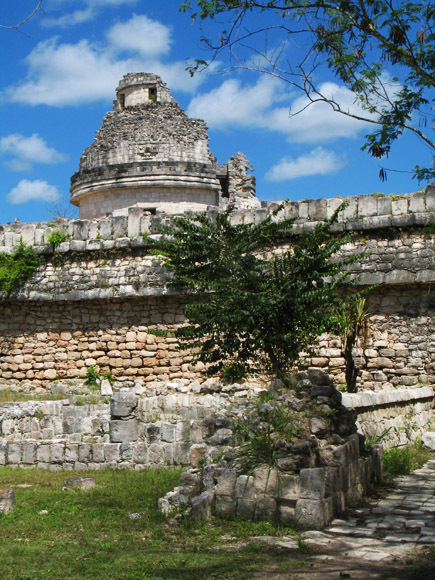 It is likely that the Spanish conquistadors’ first intimations of the Maya civilization were the siting of Tulum on its lofty perch. I will have more to say about Tulum later. Today I mention it because Hurricane Dean is about to make landfall, and reports say it will hit just south of the historic city. I hope that the ruins will not be badly damaged and that the good people of the Yucatan will suffer as little as possible as the storm cuts its furious swath through to the Gulf. This is a photo I took in February of a red handprint on the interior of the arch at the Maya ruins of Kabah in the Puuc region of the Yucatan. 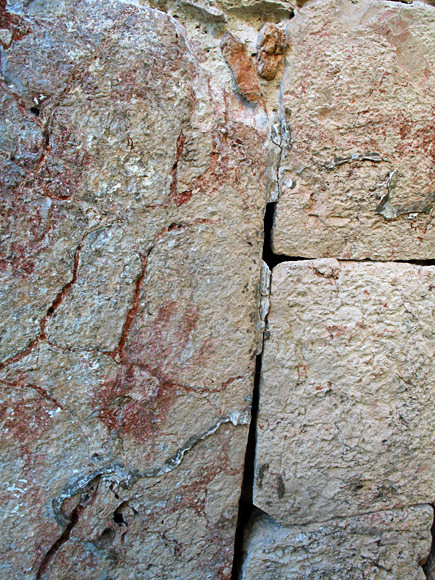 Most Maya structures were brightly painted, and this handprint was left in red paint. The handprint was originally obscured by a stucco surface, which has peeled away. Similar handprints in blue paint can be seen at Uxmal, about 20 kilometers northeast. 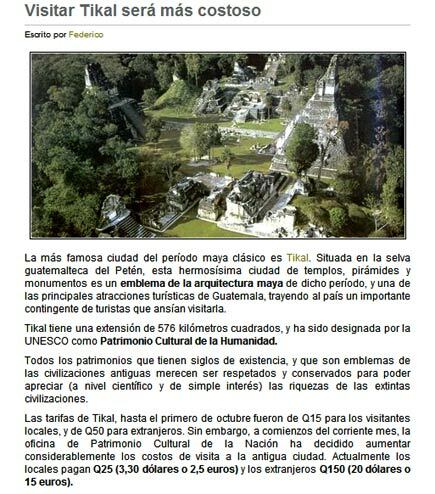 The arch was the opening to a sacbe, a grand road or walkway, seven kilometers wide at the north and ten kilometers wide here, which connected the great cities of Uxmal and Kabah. 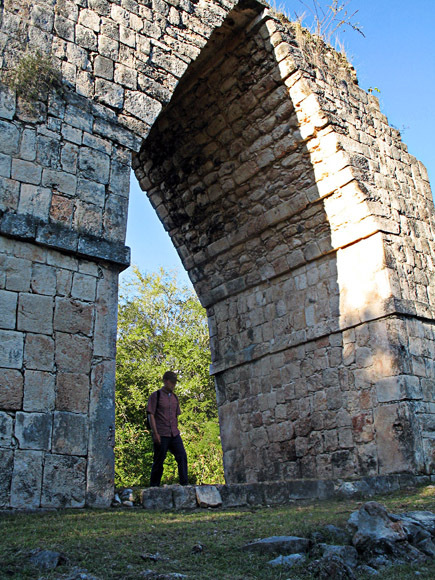 A similar arch marks the Uxmal end of the sacbe. A photo of the Kabah arch is below. 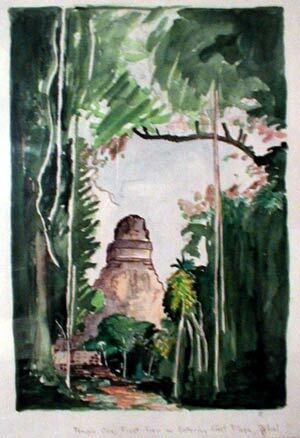 Did the ancient Maya painter imagine that the print of his hand would reach out to distant generations? If so, how might he have imagined us?